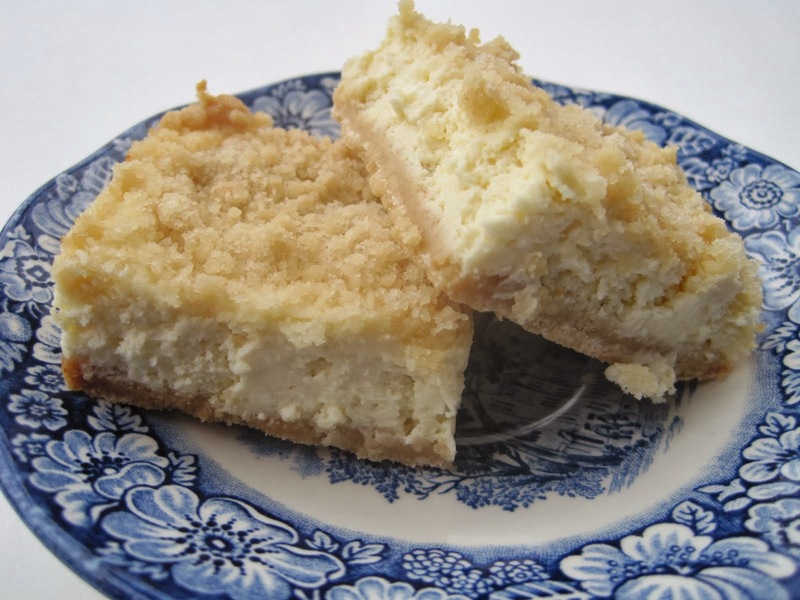 Lynda's Recipe Box: Appetizers for New Years! 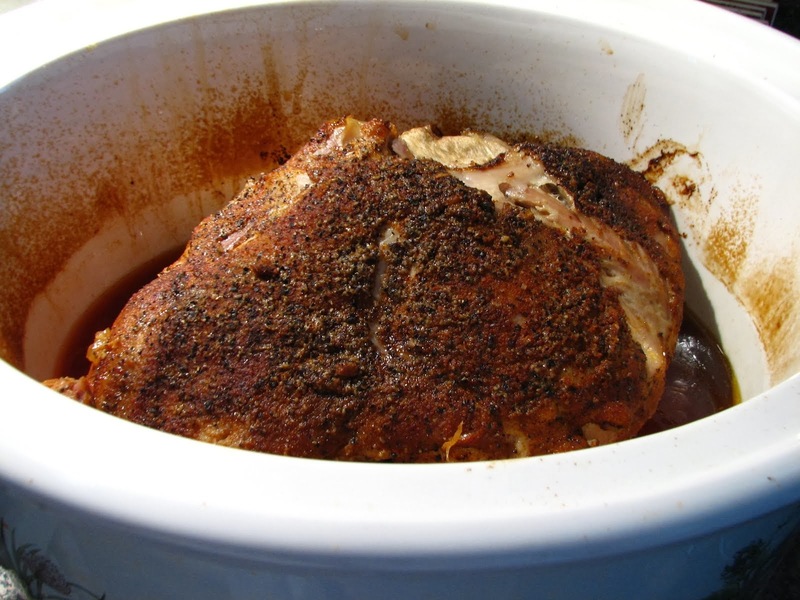 Need some appetizer ideas for your New Years celebration? 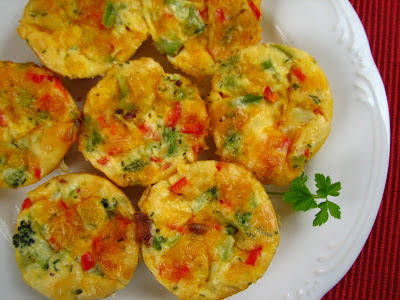 Check out the "Crustless Broccoli and Cheddar Mini Quiches" for a really delicious bite-size quiche. And they're easy! 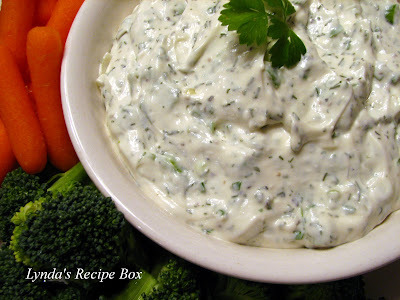 This creamy "Herb Dip" is so delicious with vegetables or bagel chips. It's so addictive! The Baked Barbecue Meatballs are easy to do in the oven and are hard to resist in a tangy barbecue sauce. Bet you can't eat just one! My "Corn and Black Bean Salsa" can still be made even though fresh tomatoes are out of season. Try using the little grape tomatoes to take place of the Roma's, if you have trouble finding decent ones. For more appetizer ideas go here for my other suggestions. It's only 2 more days until New Years Eve; are you having a huge celebration or staying in for a quiet evening? i'm a sucker for quiche... i'd love to get myh hands on yours! I've got my eye on that creamy herb dip! These savoury quiches look are just too irresistible. Lynda, What time is the party ~ great appertizers! Sometimes I just want to made things like this and have a "by-myself" appertizer party. Grand apptizers. The quiche for me, the meatballs for the kids... ready to cook. Happy New Year. 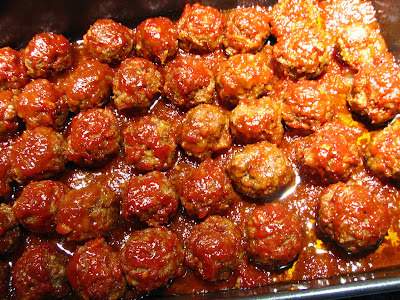 Yummm... meatballs look good! But then there's that irrestible quiche ... and dip! I could not stay away from any of it. I would be the one in the corner, propped up, with a plate piled high! These appetizers look great! 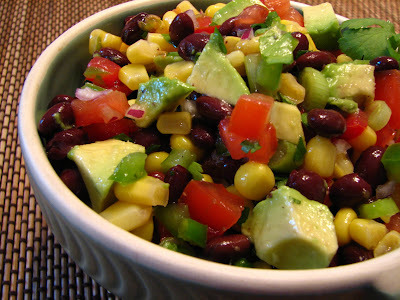 I love how refreshing the corn and black bean salsa looks. The quiche are so pretty with the red & green and I love corn and black bean salsa! Have a great New Year Lynda! Oh yum! I just want to reach in and gobble up all those goodies! We have a tradition for all celebrations that are just us - a "picnic". Gourmet cheeses, paté, cold meats, fruit, olives, crudités, wine.. etc. It will be just the two of us ringing in the New Year, after our nap of course! When did we get so old.. ? I could seriously make a meal on appetizers alone! There have been several occasions where we just plan to have "hearty appetizers", as opposed to an entire meal. It's nice being able to have so much variety and your appetizers look DELICIOUS! I'm going to keep them in mind for when I'm planning my kids' b-day parties this coming March! You've got some great appetizer ideas here! Honestly, those photos made me hungry especially the meatballs. You are the recipe queen! I am just curious about the reason for adding milk in the meatball recipe. I also noticed that there was not an egg listed in the recipe. Could that be the reason? 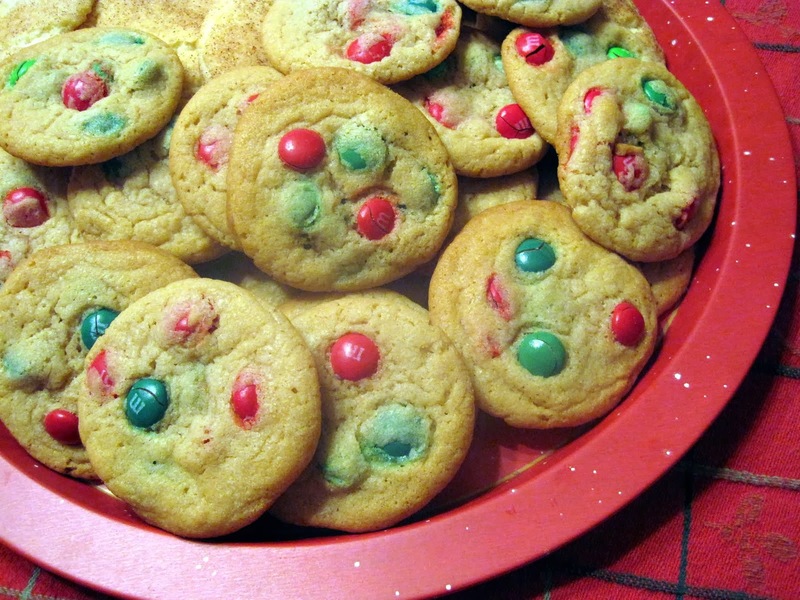 I plan on making them. I bet they freeze well too! Lynda, I love all of your appetizers, especially the mini quiches. I am definitely bookmarking this post.